Beanless Bag Chair just unfold and inflate. 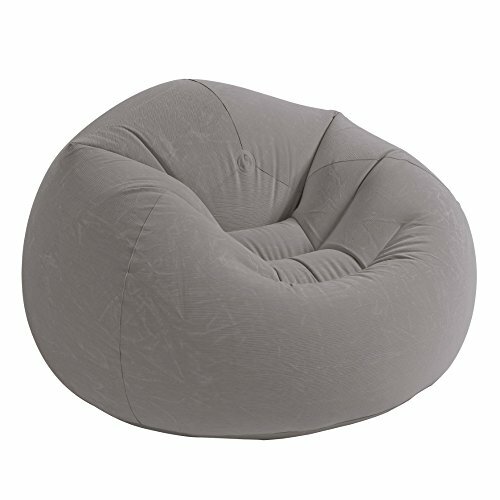 Neutral color and corduroy texture makes this a great addition to any room; Great for dorms bedrooms and more; Contoured seat for extra comfort; Inflates quickly and can be deflated when more space is needed; Folds compactly for storage; 26.4 gauge waterproof flocked top; 15 gauge vinly bottom; Color: Gray; Chair Dimensions: 42" x 41" x 27"; Weight: 5.5 lbs This item cannot be shipped to APO/FPO addresses. Please accept our apologies. Is your room packed with plush? Overflowing with fluff? Then get a Stuffums so you can stuff all that stuff! 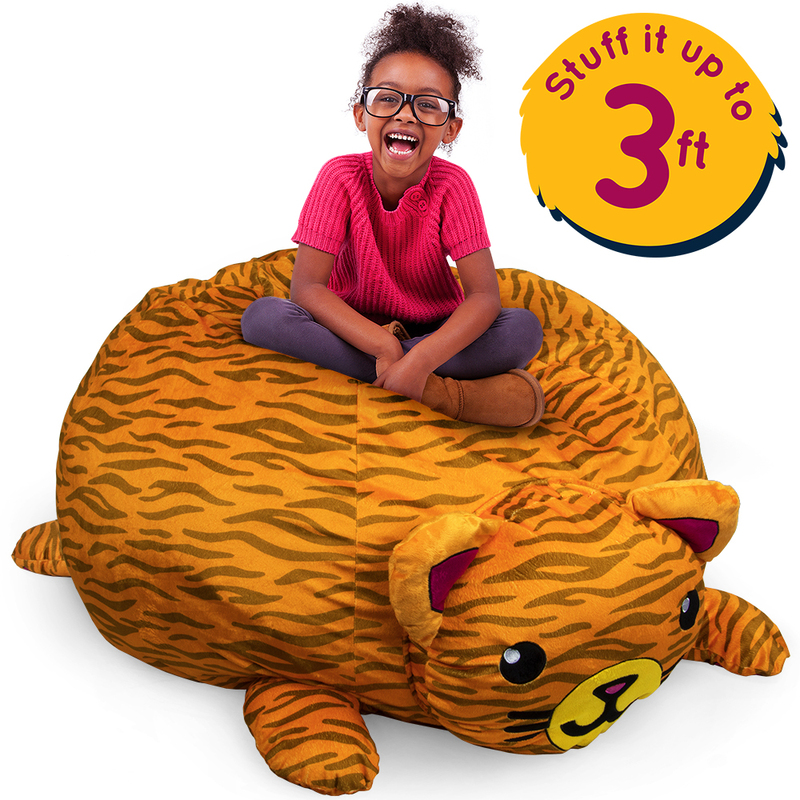 Store all your stuffed animals in one place, then sit back and relax in lovable, huggable style! Storing all your stuffies in one place is a great way to save space and clean up a bedroom, playroom, or living room. 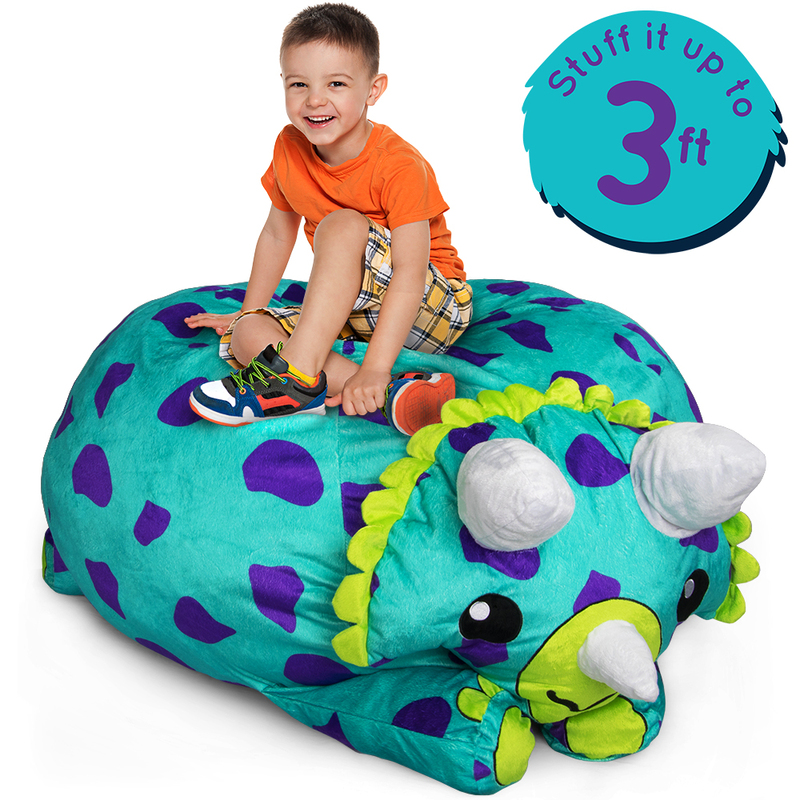 Stuff up to three feet of your favorite plush friends! Grab your teddy bears, flopsy bunnies, even throw pillows and sleeping bags. Each Stuffums is made from soft plush materials with a breathable mesh bottom that will cinch your animals inside. So sit back and relax in your Stuffums while reading a book, watching, tv, or playing video games. Believe it or not, your little one might actually need one more stuffed animal. This is one plush friend will make your child's space cleaner! They can transform a messy room in minutes with this cuddly space saving solution. Simply fill up the Stuffums and sit back and relax in your nicely cleaned space!